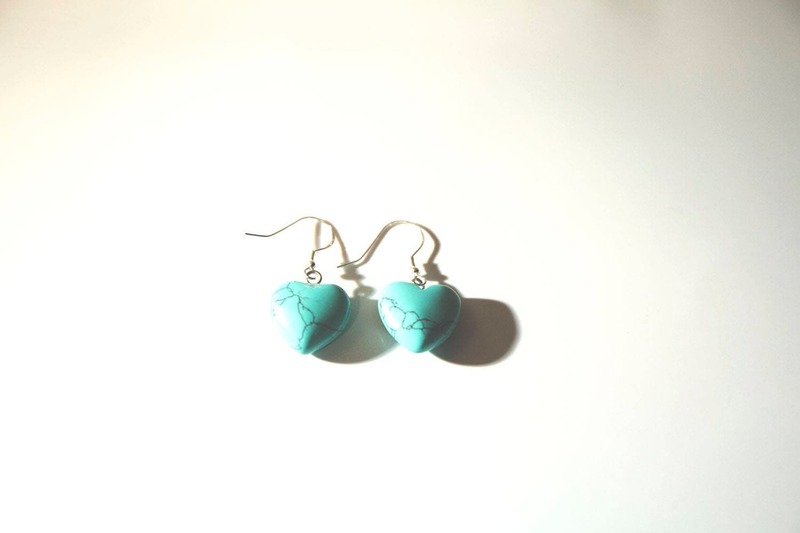 A pair of beautiful bright turquoise earrings. Heart-shaped. On sterling silver ear hooks.